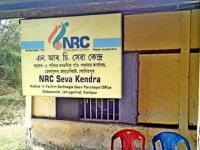 THE publication of the draft National Register of Citizens (NRC) in Assam has caused widespread consternation as over four million persons who had applied have not found a place in the Register. The updating of the NRC of 1951 constitutes part of the implementation of the Assam Accord of 1985. As per this Accord, March 24, 1971 was fixed as the cut-off date for determining those who came after that date to be illegal migrants. The decision of the Supreme Court in 2014 to get the updating of the NRC underway was generally welcomed by all sections of the people in Assam; by the Asamiya and indigenous communities who feared being overwhelmed by the illegal migration and by religious and linguistic minorities of East Bengal origin who wanted an end to their harassment and insecure status. The final draft NRC released on July 31 shows that out of 32,991,384 applicants, 28,983,677 have been included in the Register. This has left out 4,007,707 persons. This amounts to nearly 12 percent of the population of Assam. The enumeration process in the NRC has many flaws and errors. Among those excluded are persons whose other family members have been included. In a case of twins, one has been included while the other was not so lucky. There are cases where the husband is included while the wife is excluded from the list. The process has been discriminatory to women in general. The panchayat certificate is one of the documents listed for establishing linkages with parents and grandparents who resided in the state before 1971. The High Court had struck down the validity of panchayat certificate, but the Supreme Court had ruled that panchayat certificates are valid provided that they are verified. At the time of the first draft list published on December 31, 2017, it was estimated that 27 lakh married women had submitted panchayat certificates as legacy documents. Most of these were Muslim women. Such women had no birth certificates, or, school certificates as they were illiterate. They had also no marriage certificates. The only document they could get was the panchayat certificate to provide proof of their parental linkage. The draft NRC shows that in most of these cases, the panchayat certificate has not been treated as valid. It is essential that when claims and objections are filed, the panchayat certificate is treated as a valid linkage document. It is also reported that a large number of applicants who submitted ration cards as supporting documents were rejected. The publication of the draft NRC has led to political jockeying. The BJP is aggressively seeking to portray all those excluded as Bangladeshi infiltrators, or, illegal migrants. They seek to make a distinction between Hindu refugees and illegal Muslim migrants. The Citizenship Amendment Bill, which seeks to provide citizenship for non-Muslim migrants, must be seen in this context. On the other end of the spectrum, Mamata Banerjee has denounced the NRC process and raised fears of Bengalis and Biharis being driven out of Assam. This is an obvious ploy to rouse Bengali sentiments and play upon minority insecurities for narrow political purposes. As against the communal divisiveness, there has to be a bias-free process of including all Indians as citizens in the NRC. The NRC updating is not taking place in a political vacuum. There is a BJP-led government in the state which seeks to target all Bengali-speaking Muslims as illegal migrants. So vigilance has to be exercised that this bias does not manifest in the enumeration process. The Supreme Court bench which is overseeing the process has to be sufficiently aware of this ground reality. The Supreme Court has directed that a standard operating procedure be prepared for considering claims and objections of those excluded. There must be clear and transparent guidelines, on the basis of which, the documents and supporting evidences are to be accepted. The period for making claims, which is upto September 28, must be extended, so that no one is deprived of their right to be heard. It is imperative that no Indian is deprived of his, or, her right to citizenship and to be included in the NRC. The Judgment of the Supreme Court in the Sabarimala case has allowed the entry of women of all ages into the temple. 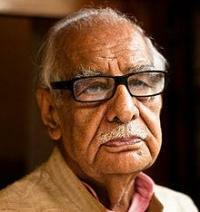 Earlier, the Sabarimala Temple rules had barred women between the ages of 10-50 years from entering the temple on account of..
Kuldip Nayar's death is a huge loss to the people. He always cherished the rights of the people and has made enormous sacrifice to fight the forces of authoritarianism during the period of emergency. He was admired for consistent fight against.. Article 35A was introduced by a presidential order in 1954 to safeguard the rights and guarantee the unique identity of the people of Jammu and Kashmir. 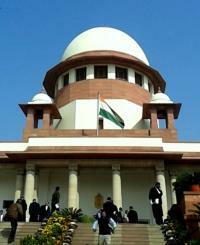 This provision gives the Jammu and Kashmir legislature the right to decide who are.. The National Register of Citizens (NRC) was part of the Assam Accord which decided on the cut-off date of 1971 to determine the question of illegal migrants settled in Assam. The work for preparing such a register did not proceed until the.. 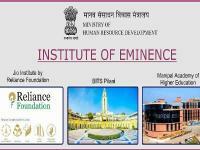 In a great surprise the Ministry of Human Resources has decided to award of eminence to Jio Institute which has not come into existence yet. The Jio institute which will be run by the Reliance Foundation is not an existing one and according to.. 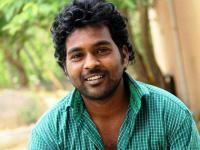 The latest narrative around Radhika Vemula should be seen in its proper perspective. Radhika, the mother of Rohith Vemula, has acknowledged that the Indian Union Muslim League (IUML) provided her financial help. In fact, many political.. Addressing the fourth meeting of NITI Aayog, Prime Minister Narendra Modi again flagged the issue of simultaneous elections for parliament and state assemblies, calling for a widespread debate on the issue. .. The decision of the BJP to withdraw from the coalition government with the PDP in Jammu & Kashmir at this particular moment has the potential of creating greater political instability in the state. It signifies the total political failure of..
Once again, there is some talk about talks to be held on Jammu & Kashmir. On May 26, the Union Home Minister Rajnath Singh, in a media interview said that the government is ready to hold talks with Hurriyat, if the Hurriyat leadership is.. The opposition’s show of unity in Karnataka has turned the spotlight on the neighbouring regional satraps of Telugu states – Andhra Pradesh Chief Minister N Chandrababu Naidu and his Telangana counterpart K Chandrasekhar Rao – in the wake of public expectations over their prospects of building a common platform against the NDA. Cobra Post and its intrepid journalists, particularly Pushp Sharma and Anirudh Behl, conducted daring sting operation on some of the biggest media houses in the country. They have exposed on camera the enormous greed of the media barons, who.. The BJP describing united opposition as a potpourri of parties without any ideological commonality holds true even for NDA. The BJP said that all parties such as Congress, SP, BSP TMC, and Chandrababu Naidu's TDP, their ideologies do not..
At least 12 people were killed and scores of others including women and children injured in a brutal police attack and firing on people agitating against Sterlite Copper, a subsidiary of global mining conglomerate Vedanta, in the city of.. The Supreme court order today is a clear indictment of Karnataka Governor's decision to invite BS Yeddyurappa to form the government. The court has drastically reduced the time given by the governor for the floor test to happen. This is a clear..
Who should form the Government in a hung Assembly?